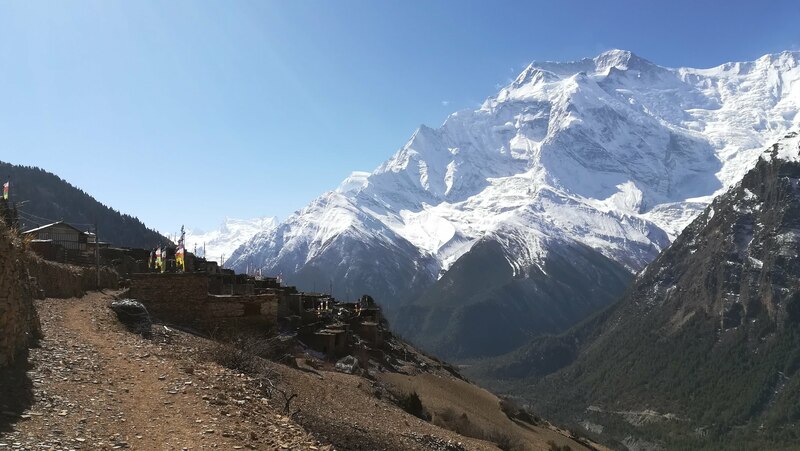 The Lower Pisang trekking route follow the jeep road and smoothly leads you to Manang. 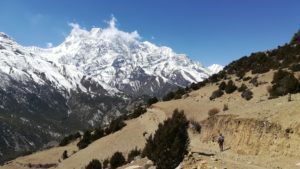 The Upper Pisang path is more difficult but for me it’s the most beautiful part of the Annapurna circuit. The path starts with a very very steep way up to Ghyaru, a beautiful old village with a no-words-can-describe-it view. It’s hard but Every (short) breath you take – thanks the 3700mtr altitude! 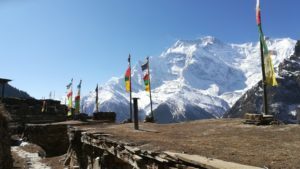 – and every step you take, Annapurna II will be watching you! 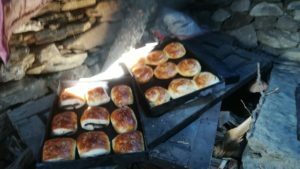 In Ghyaru a delicious chocolate apple cake is waiting for you but don’t eat too much because you’re going to want to stop at the incredible picnic spot on the way to Ngawal where a funny baker guy will get out of his oven freshly baked cinnamon rolls or chocolate pastries just for you and your hiking mates! The up-and-down path from Ghyaru to Ngawal is not so hard. 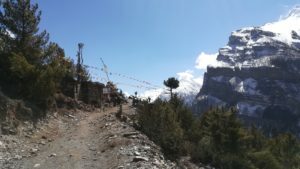 In Ngawal you can decide to go down to Manang or to continue your way up to another side trek that will bring you back to Manang valley after 2 extra hours of hiking. It’s UP to you!